New book by Dave Chase documents the growing opioid crisis currently facing the United States. 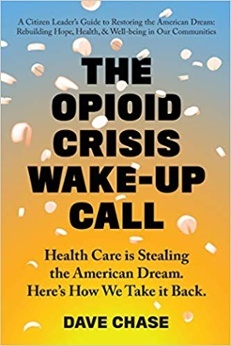 It is with great pleasure that we announce that Dave Chase, Co-Founder of Health Rosetta, has generously allowed us to distribute a free online copy of his new book “The Opioid Crisis Wake-Up Call” to our friends, clients, and connections. The book has a specific aim: to focus on what can be done today by civic and business leaders to address the systemic problems in healthcare that have contributed to the opioid epidemic ravaging our country. Health Rosetta is a forward-thinking group of benefits advisors around the country who are dedicated to promoting industry transparency and high quality employee benefits solutions that simultaneously slash employers’ costs. A year ago, Wincline was certified as a partner, bringing Health Rosetta’s employer-first principles to Arizona. Since then, we have sought to champion fiduciary principles in the guidance we provide to clients to help them slashing costs for benefits and healthcare.